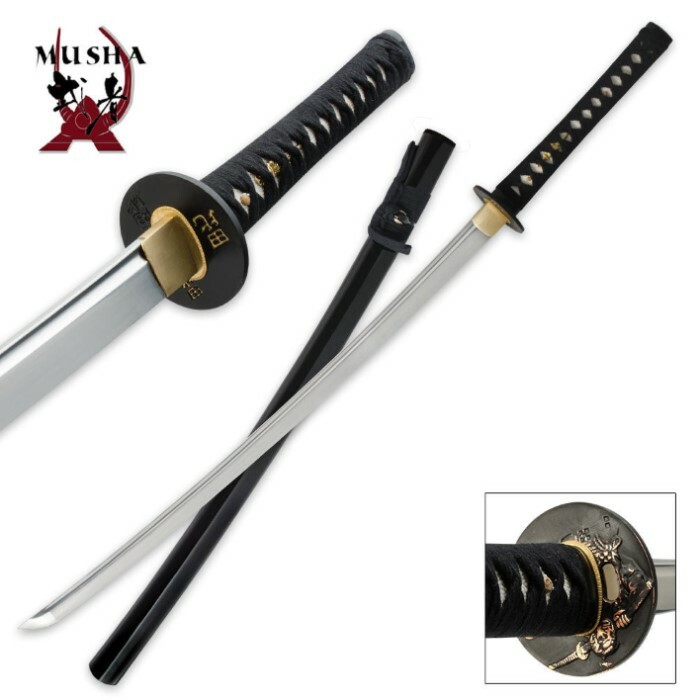 This Samurai sword features a hand forged steel blade that can bend up to 45 degrees! 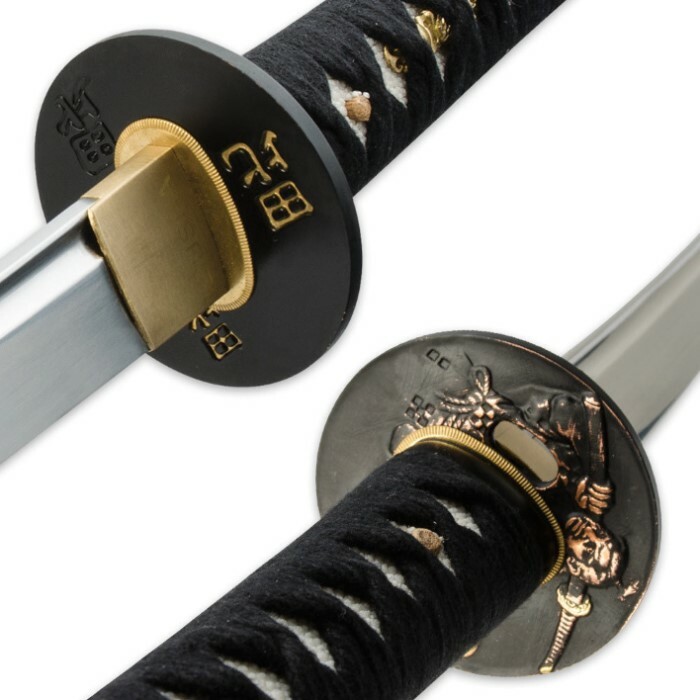 The handle features ray skin and nylon cord wrapping for a secure grip. 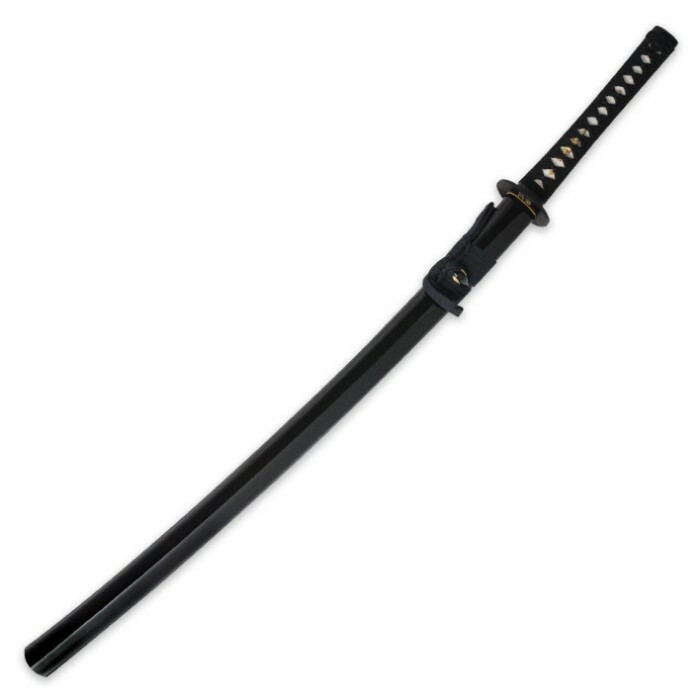 Includes a matching black scabbard.